Adventures of a Starving Artist: Worship Wednesdays - Happy Canada Day! One year ago today, we were in Nashville, recording How The Light Gets In. 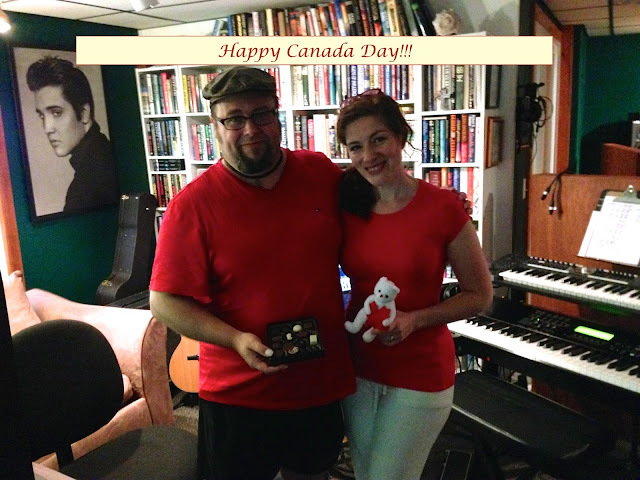 We celebrated Canada Day with Tim Horton's coffee, maple syrup candies, and Laura Secord Miniatures for all the musicians. Today, we're blessed to celebrate in Canada with our family! Wherever you find yourself today, we hope you celebrate our beautiful country.